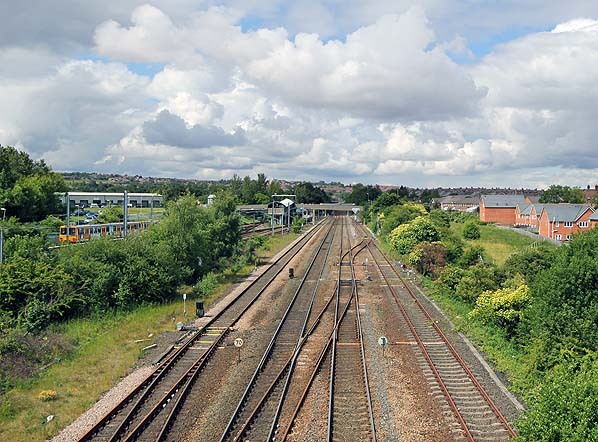 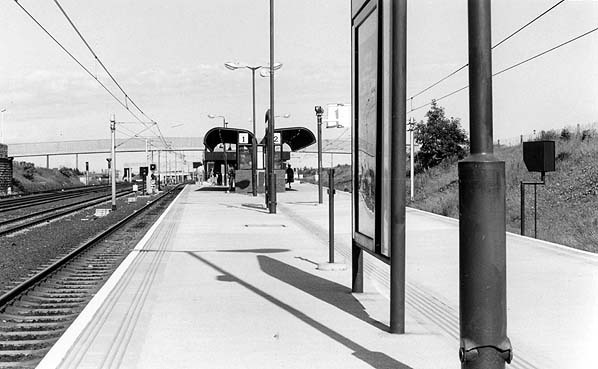 Pelaw Metro station looking west in July 1987. 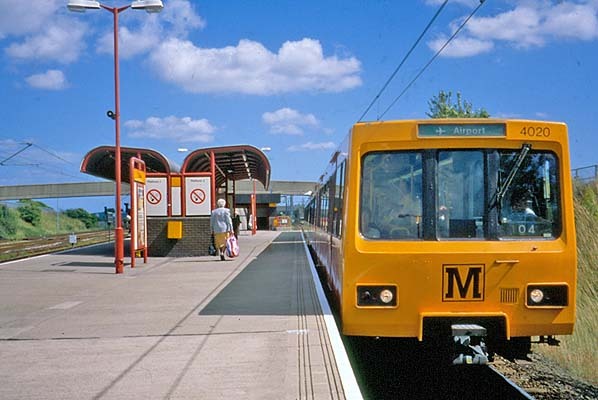 On 15 August 1998 a Metro train for South Shields arrives at Pelaw. 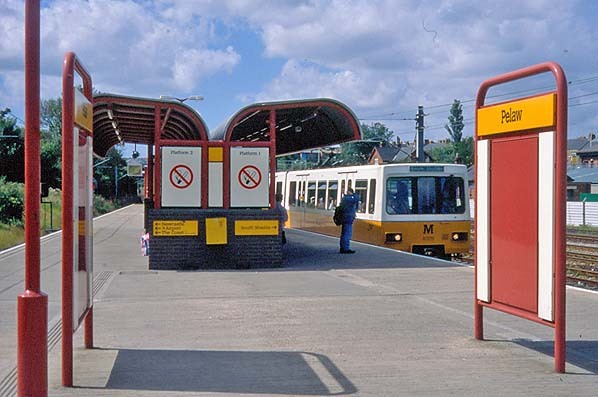 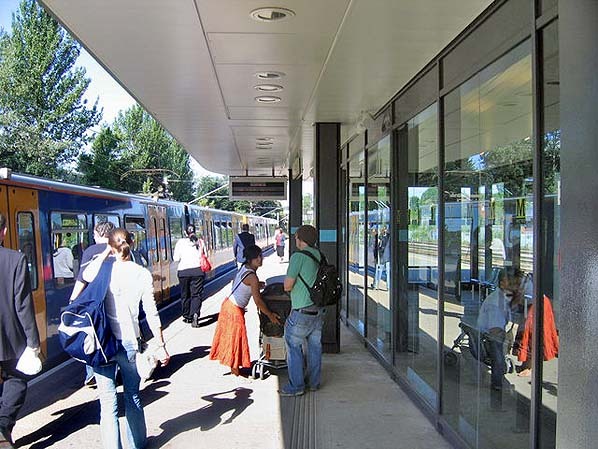 The station has an island platform version of the standard Metro platform shelters which were installed until the 1990s. 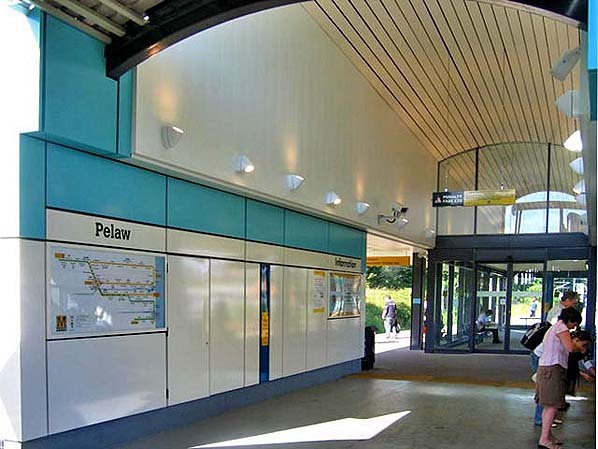 The nameboards are in ‘Newcastle Cadmium Yellow’ with the Metro’s Calvert font in black. 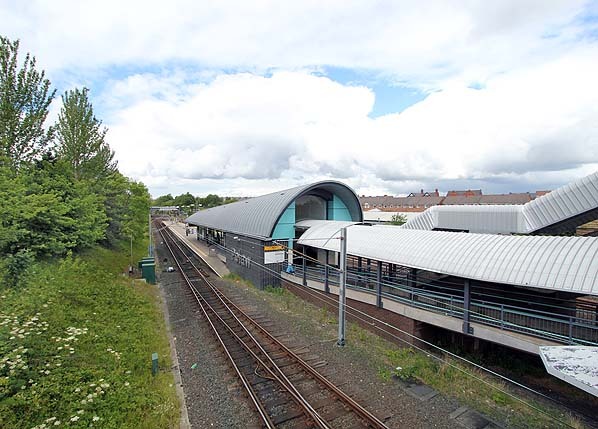 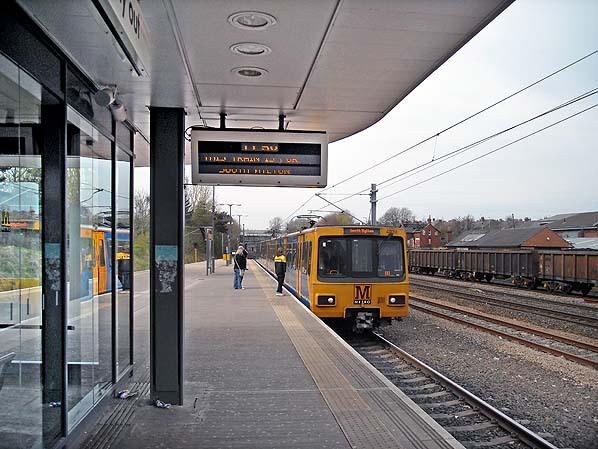 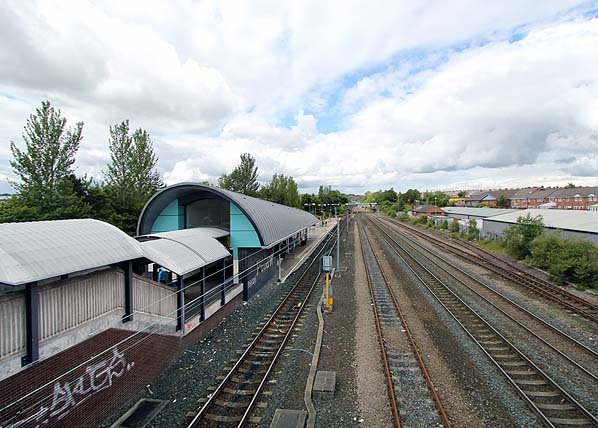 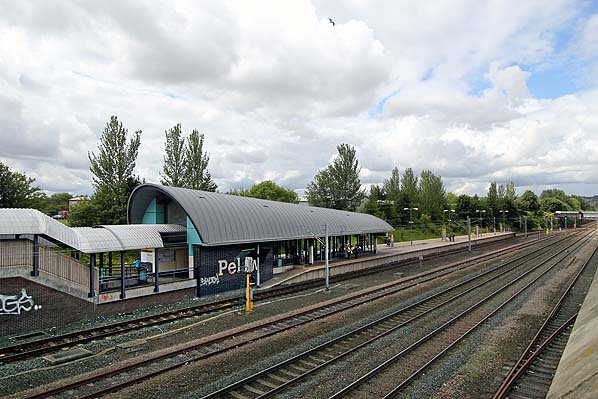 On 6 April 2009 a Metro train for South Hylton arrives at the refurbished Pelaw station.